Adjustable beds are traditionally found in hospitals and retirement homes, but they’re becoming increasingly popular outside of these environments especially for home use. A standard flatbed isn’t suitable for everyone, and there have been substantial advancements in the technology used in adjustable beds which have led to an increase in quality, but a drop in prices. We’ve researched and reviewed the best adjustable beds available on the market so you can get an unbiased view on what features you need to consider before making a final purchasing decision. Have you seen our main guide and top picks? 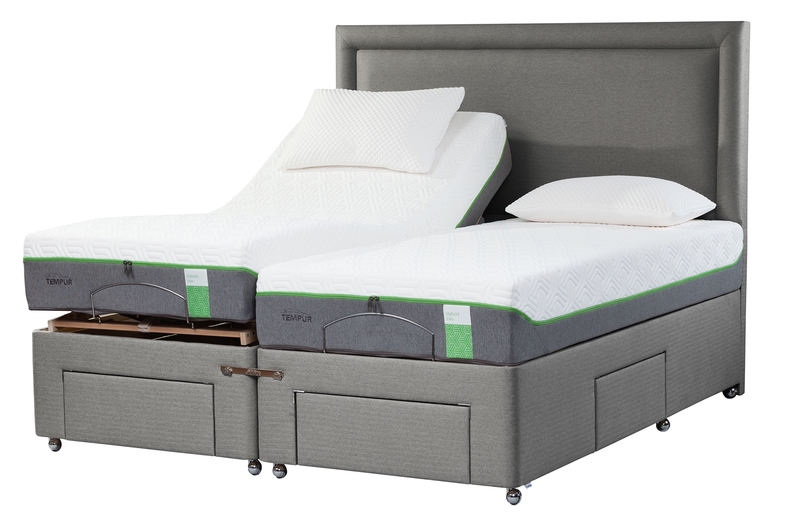 It would be difficult not to have noticed Simba Sleeps surge into the UK market as one of the leading mattress manufacturers, and they have now extended their range into adjustable beds. The bed gives you a choice of three sleeping positions including zero gravity which works to provide support for your whole body while you sleep. This weightless feel helps you to get into a deeper REM sleep which improves the overall quality of sleep that you experience. The bed is split into two sections which are ideal if you share a bed with a partner because it means that each side can be adjusted to its preferred angle There is also a massage function built into the bed, and you can choose whether you massage your upper body or lower body. USB ports have been built into bed so you can charge your phone while you sleep and you have the choice of where these USB ports are placed. 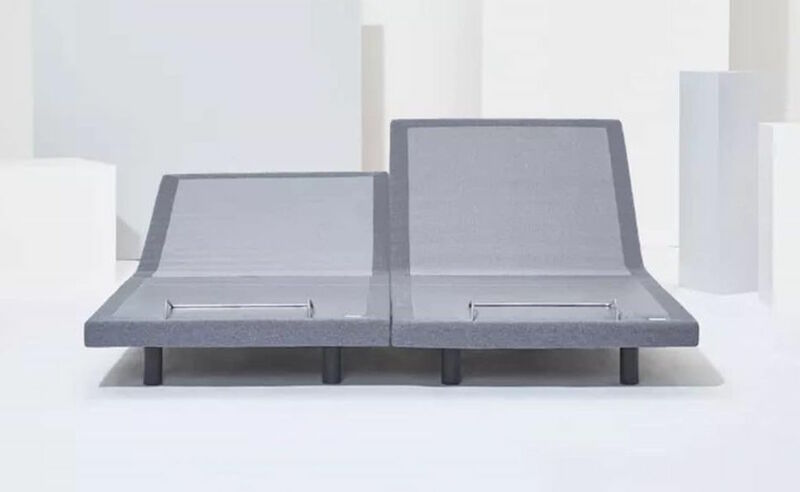 Simba has not just focused on the functionality of the bed but also the overall style because a common complaint from users is that they don’t look aesthetically pleasing. The Simba Sleep adjustable bed is slim and stylish and wouldn’t look out of place in the most stylish of homes. It’s rare to find an adjustable bed that combines high-quality functionality with style, but Simba Sleep has managed to do this. The Tempur Moulton adjustable massage bed provides you with relaxation with the use of a simple remote. The base allows you to adjust the position of your hips, legs, hips or completely lift yourself into a sitting position. The inbuilt mechanism is designed to give you a relaxing sleep while also being comfortable. The base is also supplied with polished chrome finished castors to make it easy to transport over carpeted areas. The bed has a battery reserve in case of a power failure, and the cordless infrared handset has a built-in torch that allows you to control the bed with ease. There is also an in-built massage function to give you pressure and pain relief which is especially important if you spend large parts of the day in bed. Included with the frame is a 10-year warranty and the German made motor mechanism is subject to a 5-year warranty. When purchasing you get a choice of soft tweed style fabrics so it can fit in with your current interior. Each base is built to order, and as part of the home delivery service, the bed will be assembled by the delivery team in your desired room. You also have the choice of additional storage options in the base of the bed. 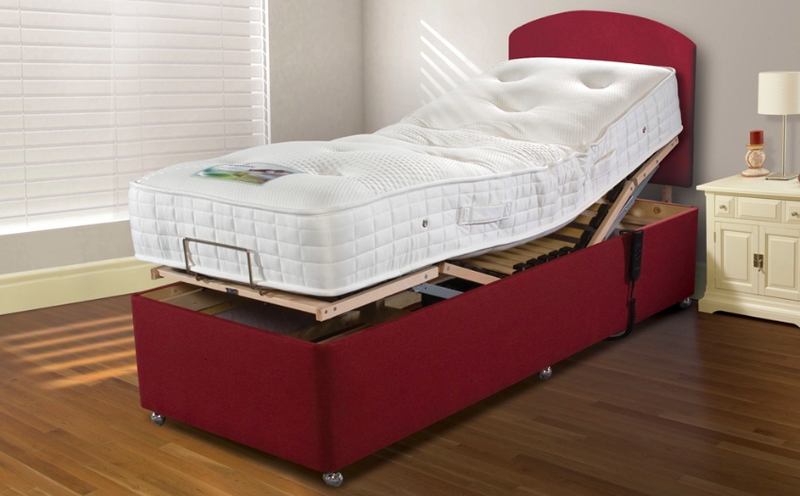 This hand made adjustable divan bed has a 5 part motorised frame which gives you customisable support to relieve your body of aches and pains. This will also improve your circulation and improve your posture. Inbuilt are spring slats which adapt to pressure placed on it to improve back support and evenly distribute pressure while also promoting airflow which not only keeps you cool but also keeps the mattress fresher for longer. The bed is split into two, so you can alter the position of each side independently which is great if you share the bed with a partner. There are also 1000 pocketed springs included in the mattress which further works to align your spine to reduce the amount of strain on your body. The mattress is topped with a Coolmax cover to ensure that you stay cool all year round. An extra thick layer of memory foam is constructed within the bed which contours to the shape of your body and the bed come in two firmness ratings of medium/firm and firm. The mattress doesn’t need turning which makes it ideal if you struggle to turn mattresses. The bed comes with a 5-year warranty for added peace of mind and a range of finance options if you don’t want to pay the full price up front. Mibed has a well-renowned collection of adjustable beds and the Lerwick King bed is one of the best models within the range. The handmade mattress has 50mm of memory foam which is built into reflex foam that works to contour the body. 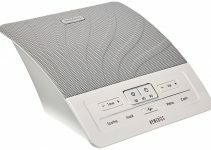 Not only does this provide comfort but also motion isolation, so there's little noise when you turn throughout the night. The adaptive technology also delivers optimum temperature regulation and has a 5 point adjustable frame so you can customise the level of support that you need for each area of your body. The bed is delivered and installed by a two-person team in the room of your choice, so you don’t have to lift a finger once you purchase. The mattress is a medium firm feel so it has the responsiveness and slight sink that you need to remain comfortable yet supported. The mattress doesn’t require turning, and the cover has a quilted finish. Also the bed comes with a manufacturers 5-year warranty so you will either receive a repair or replacement if any defects occur within this time. The Latex 1000 adjustable bed means you never have to worry about being comfortable in bed again. With a layer of 1000 pocket springs, this gives you responsive support that alters based on your movement. The mattress also has 4cm of latex which provides pressure relief and comfort, while keeping you cool throughout the night with its in build vents. The mattress also has a soft knitted cover which gives you additional comfort and needs no flipping as it's one-sided. The bed has three different settings that it can be adjusted into, and can be controlled using a few buttons. This allows you to adjust the leg and head height or the whole bed itself, and if you realise that you need more or less lumbar support, then you can manually adjust the firmness of the slats. 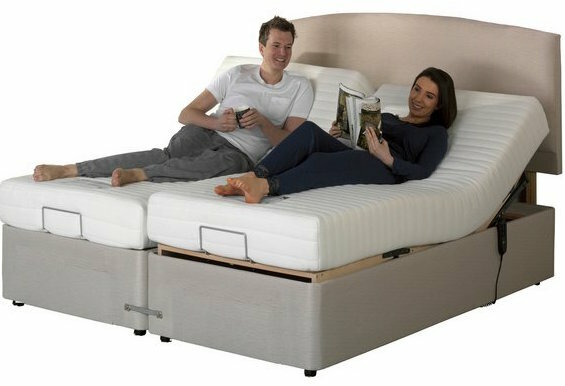 It comes complete with free two person delivery who will install the bed and also demonstrate how to use it. The unit comes with a 7-year warranty, with the motor having a two-year warranty. An adjustable bed is often also referred to as an electric bed, and it differs to a traditional bed because it has a hinged lying surface that allows the user to alter the angle to many different positions. For instance, it gives you the ability to put the top half of the bed at an incline while raising the lower body. Adjustable beds are usually found in hospitals and other medical establishments, but they are increasingly becoming more popular in the home because of the large number of benefits that it brings. To be able to understand how beneficial it can be fully, you first need to know how a traditional mattress works. When you lay on a flat mattress, particular body parts get too much support whereas other vulnerable areas of your body are not adequately supported. This puts uneven pressure and stress onto your body especially along the neck and back and sleeping in this way can lead to long term adverse side effects, if left untreated. An adjustable bed begins in a flat position but then you can alter the angle which can provide added support to where you need it. This means that previously vulnerable areas such as the back and neck are now fully supported, giving you higher quality sleep. If you suffer from sciatica, arthritis or back pain, an adjustable bed can help you by altering your body into a more natural sleeping position. If you have mobility problems, then an adjustable bed can help because you can alter the angle, which can make it easier for you to get in and out of bed more safely. An adjustable bed can help with circulatory issues because if body parts are elevated this can improve blood flow. If you're confined to spending large parts of the day in bed, then an adjustable bed can help you to move positions to ensure that you at least do a little movement throughout the day. Size is an important thing to consider when upgrading any furniture in your home. Luckily adjustable beds come in a range of sizes, so it will depend on what size you’re explicitly looking for. The size you choose will depend on many factors including your weight and also if you share the bed with a partner who will usually mean that you need a larger sized bed. Although all adjustable beds allow you to alter the position of the bed, an additional useful feature is being able to save your custom angle and then allowing you to set it back to the position by just pressing one of the pre-set buttons. This will save you time and ensure that it’s set to your favourite angle every time. When making a final purchasing decision, you need to ensure that you’re aware of your chosen mattresses weight capacity which is not only how much it can hold in position but also how much weight the mechanism can move. The last thing you want to do is have to get out of bed so it can be moved into position, or have the mechanism fail because the load weight is too high. The manufacturer will always state the maximum weight the mattress can bear. The adjustable beds now offer a massage function and have an in-built massage motor which has a dual use which means you can either massage your upper body including your back, neck and shoulders or massage your lower body. This will not only help to relieve tension but will relax you so you fall asleep quickly. The main drawback of adjustable beds as you’ve probably noticed is the cost. They are not cheap and are significantly more expensive than traditional beds due to the higher level of technology built into them. However, this is more than justified considering the additional benefits that you will experience from being able to adjust your bed. There is still a range of price points, so you don’t have to spend thousands of pounds on it. Because of the large outlay, most manufacturers offer purchases on finance so you can pay it in instalments, so it’s not such a large lump sum amount. Although adjustable beds are likely to last an extended period, there is more that can go wrong with them due to the adjustable mechanism. Because of this, it’s vital to ensure that there is a long term warranty in place before you buy to give you that added protection just in case a defect does develop. Having a bed that adjusts is hugely beneficial, but with it moving up and down this can present another safety risk of falling off the bed, especially for those that have mobility issues. Some adjustable beds have inbuilt safety features such as handrails which give you added support when the bed moves to stop you from falling out of the bed. Adjustable beds use an electric motor to raise or lower sections of the bed into position. However, it’s important to know whether you have to do this by pressing an inbuilt keypad or if there is a remote included. A wireless remote is even more convenient because it means that you can use them no matter where you are in bed. It’s also important to know how many of the features you can control with the remote as some may limit you to necessary actions. Once you’ve chosen a bed frame, there's still one crucial step to go which is to pair it with the most suitable type of mattress. This will further enhance the quality of your sleep. Because of the way an adjustable bed works, the mattress you choose needs to be made using a material that's flexible and durable. As a result of this constant movement, the bed needs to be able to turn and bend while retaining flexibility. 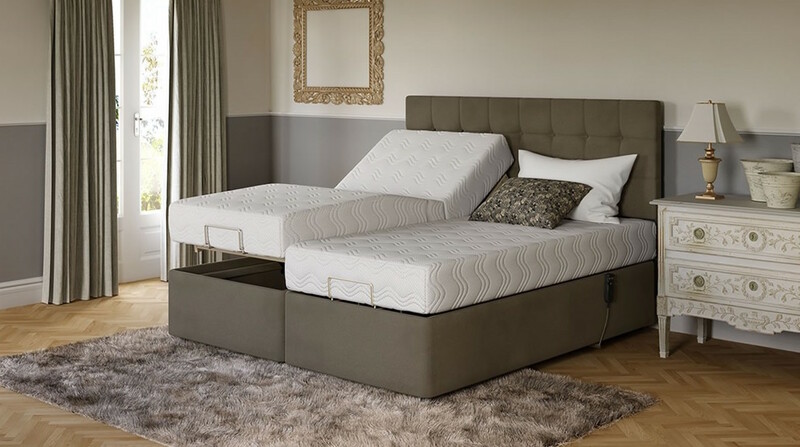 Most adjustable beds are made using three types of material which are latex foam, memory foam or innerspring and will either be a single one or a combination of materials. Memory foam works to relieve pressure and pain and also absorb pressure from your body and contour to remove tension. This works to distribute your weight across the surface evenly. Memory foam as a mattress material can flex easily when the position is adjusted, and it will remain useful regardless of its position. Latex foam also prevents and reduces pain and pressure but works slightly differently to memory foam because it has more responsiveness and bounce. It's available in both natural and synthetic form, with natural being better and synthetic latex being more affordable. Latex will be able to adapt when the mattress is adjusted into different positions. Innerspring is a traditional mattress filling and uses coils which adjust to changes in position when you lie on the surface. Spring coils are usually combined with either memory foam or latex to increase their effectiveness, and because they don’t have the same level of durability or flexibility as the foam alternatives. Being able to adjust your bed into any position that you want will improve your comfort levels. This means that you sleep better than you ever have before and because of the materials which are usually foam based, it means that it will contour to your body giving you the full body pressure relieving sleep that you’ve been missing. If you suffer from joint pain or backache, then an adjustable mattress can give you temporary relief and in some cases solve it all together especially if your old bed is the reason that you’re suffering. Newer adjustable beds also have massage settings that can also help to soothe and relieve your joints. ​If you have mobility issues, then an adjustable bed can give you back some of your independence so you can adjust the angle of your bed by yourself without needing assistance from somebody else. This can be done using the included remote that is easy to use and is especially important if you either spend significant periods of the day in bed or are alone. If you suffer from issues such as swollen legs or feet, then an adjustable bed will allow you to keep those problem areas elevated which will improve blood circulation and is significantly more effective than the DIY version of propping your legs up on some pillows and hoping for the best. With an adjustable bed, this allows your affected areas can recover during the night leaving you feeling rejuvenated in the morning. Snoring is caused by your airways being blocked which is made worse by sleeping on a flat surface. An adjustable bed will put you in a raised position which can clear the airways to decrease your snoring. This will improve the overall quality of your sleep and any partner that you share the same bed with. One of the main benefits is the instant nature of an adjustable bed meaning that you can quickly change your positioning. If you opt for a dual adjustable bed, this also means that you can only change your side of the bed without changing and disturbing your partners' side of the bed. It's also great when you’re not asleep but want to be propped up to either watch TV or read a book. If you’re considering purchasing an adjustable bed, then it’s essential to understand the different types of bed available. This type of adjustable bed has one large surface that can be adjusted and can come in the standard sizes that you’d expect of any bed including double, king and queen. This means that when you change the angle, you change the whole bed and not just a section of it. This is better suited if you’re the only one using the bed or if you share a bed with a partner that is suited to the same sleeping position that you prefer. Dual adjustable beds are split down the middle with each side being for one person. Each side can be adjusted in angle so if for instance you like to have your feet elevated, but your partner doesn’t then this is the ideal choice. This means that you can both sleep in your favoured position without having to compromise. When it comes to comfort and versatility, an adjustable bed ticks all the boxes, and the most important thing is that the best adjustable beds are well made, has a strong guarantee and has additional features that make your life easy.